Hi! 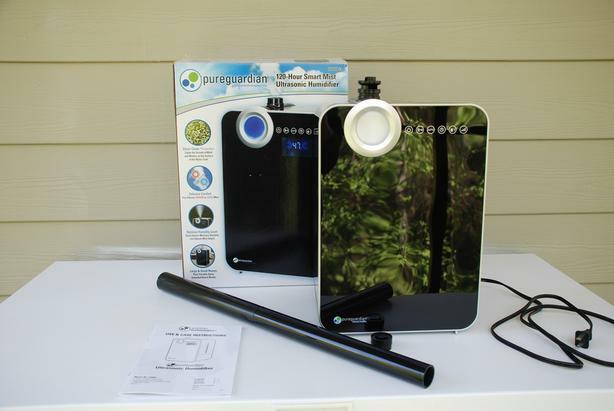 I have a BRAND NEW STILL IN UNOPENED BOX PureGuardian 120-hour Smart Ultrasonic Warm & Cool room humidifier for sale. It is glossy black with blue lighting and it measures 10"L x 7" W x 14"H (before the mist extension wands are added). The manufacturer is Guardian Technologies and the model number is H8000BCA, part of their Elite Collection. I am asking $170 for my brand new one ... and you don't have to pay any tax! I am located in Vancouver, BC but shipping is no problem. I will be happy to mail this humidifier to you using CanadaPost and Interac bank transfer. So, if you are interested in purchasing, e-mail me and we'll figure out the logistics and/or I can answer any questions you may have. Thanks!